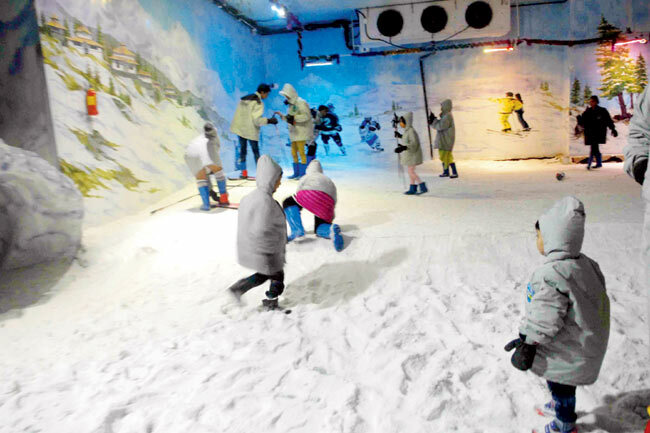 Home Featured Become a kid with your kid! 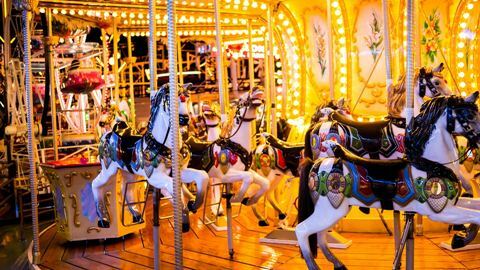 Become a kid with your kid! 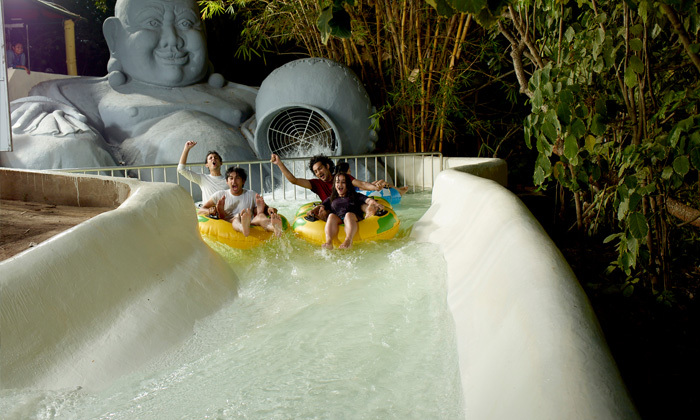 After the grilling final exams, your kids deserve a break. 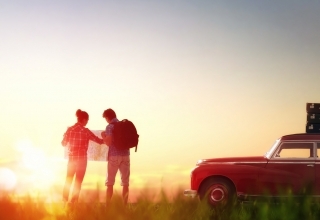 If you have not planned a summer vacation for them yet, they are going to have a lot of time on their hands. 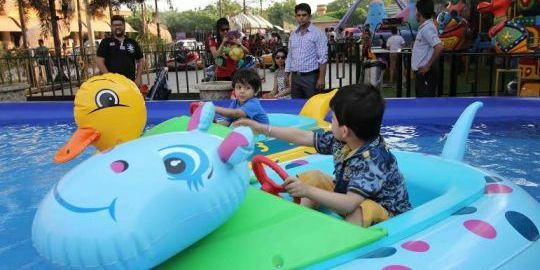 The poor little ones won’t have much to do but sit at home; thanks to the scorching heat! 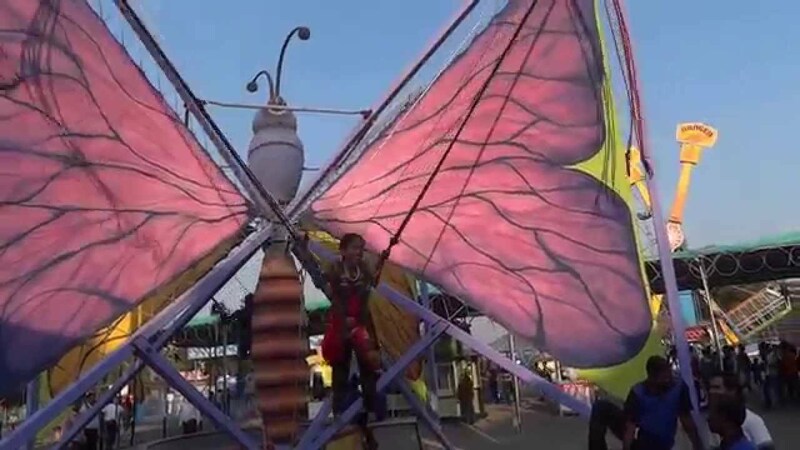 Here’s a clue on what to do for your kids this summer. 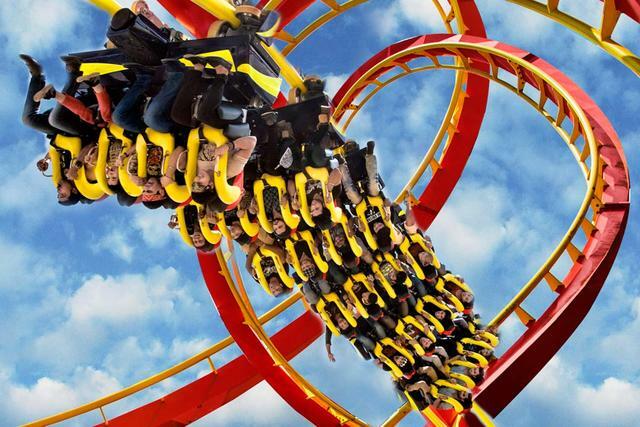 There are many amusement and theme parks across the country, but only a few of them are outstanding. 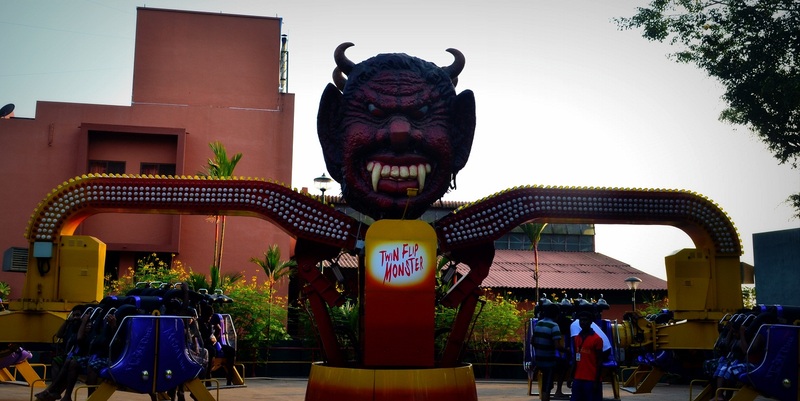 These are our picks of the best theme and amusement parks in India! 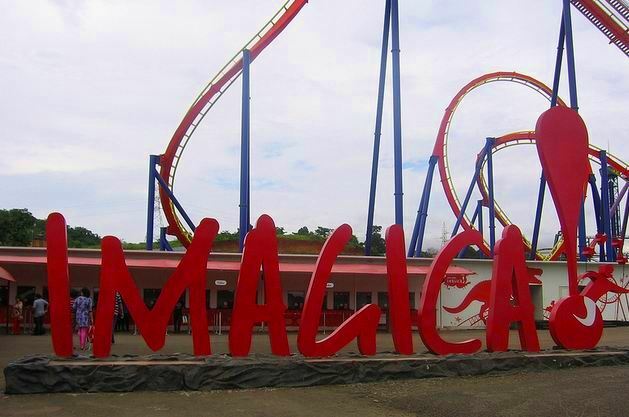 A relatively new big-budget, hi-tech amusement park has taken inspirations from Universal Studios. 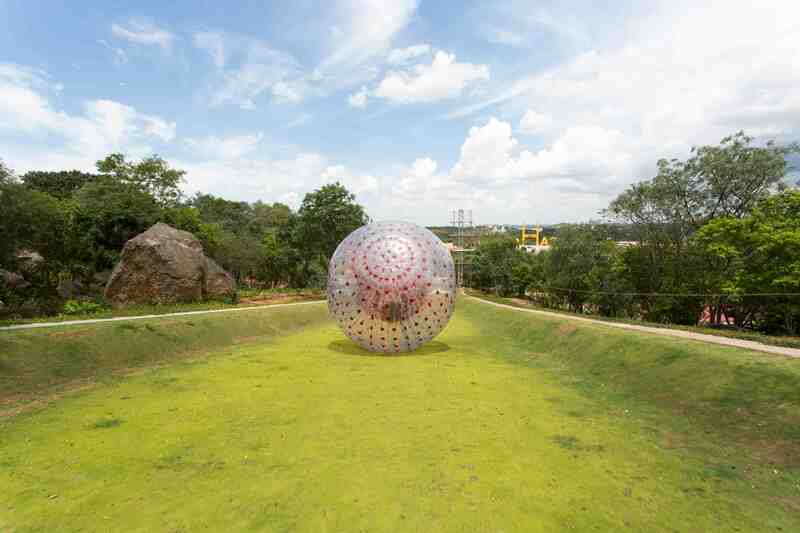 It is located in Khopoli, off Mumbai-Pune Expressway. 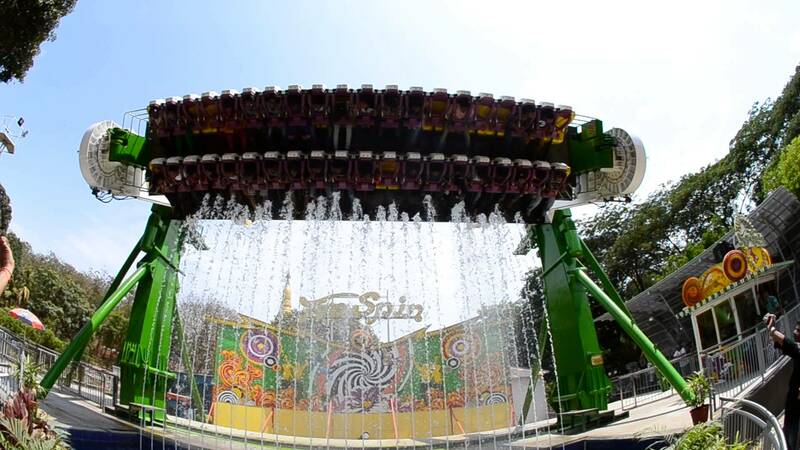 The park opened in 2013, and is home to more than 25 themed rides including the country’s largest roller coaster and 4D stimulation rides, and five themed restaurants. 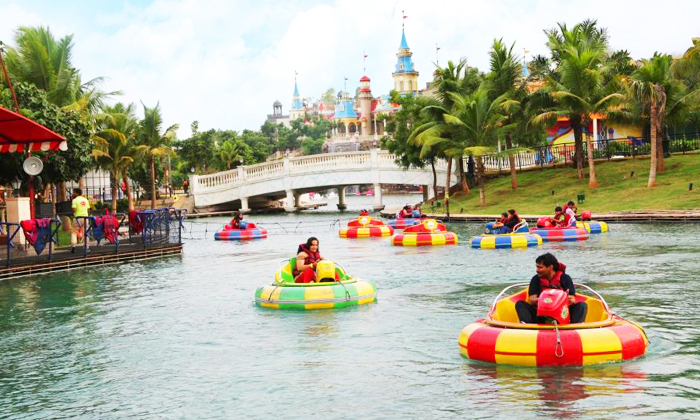 Apart from the theme park and it’s attractions, Imagica also has a water and snow park. 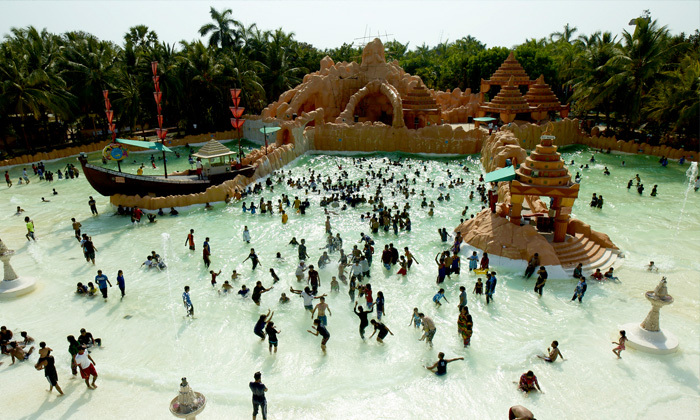 The Novotel Imagica Khopoli is a blessing for those who would like to spend a whole weekend exploring the park. 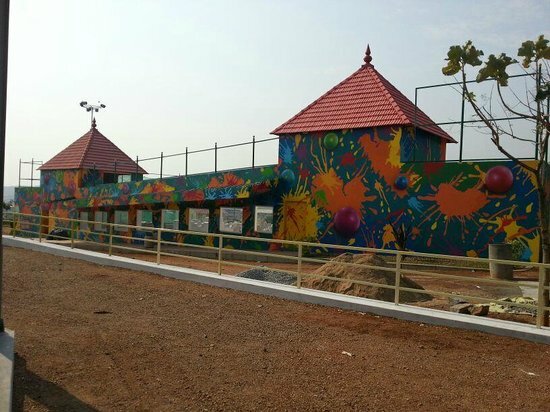 With a 30 kms distance from the garden city of Bangalore, situated on the Bangalore-Mysore highway. 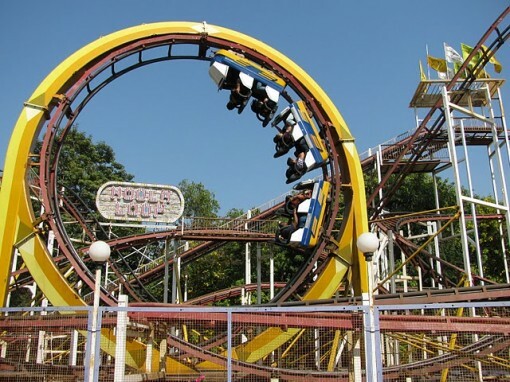 Wonderla is a world-class amusement park with an array of attractions, with over 50 rides, 12 of which are water based, and 9 are especially for small children. 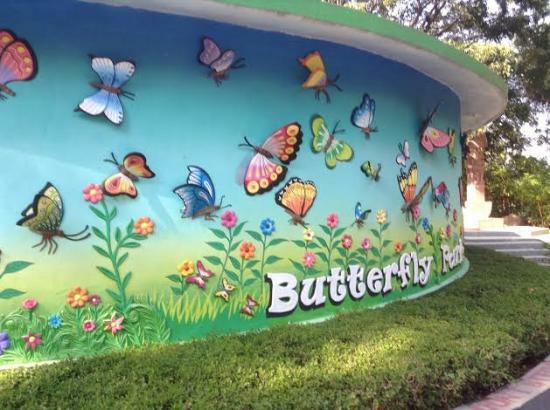 Even if you have toddlers, you can still have a good time at this park! 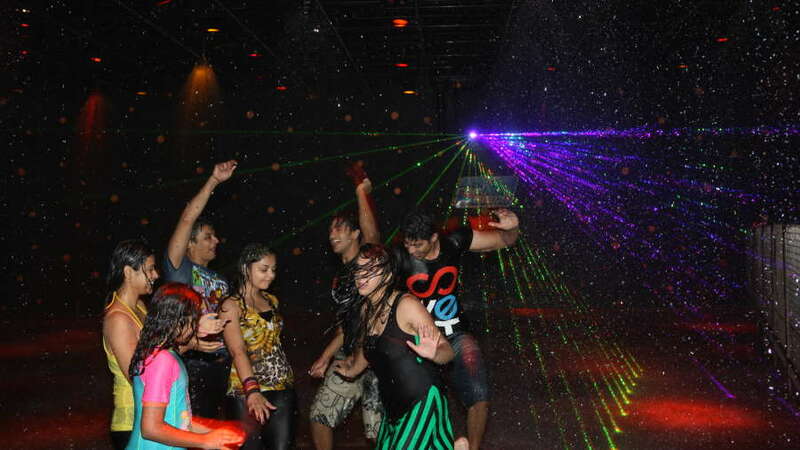 One of their unique attractions is the Rain Disco, an indoor dance floor with psychedelic laser lights and a rain system that provides showers of warm water. 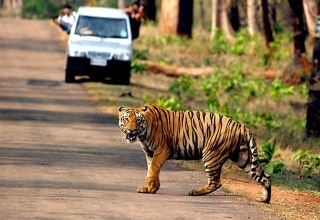 If you don’t want to drive back to the city, the resort also has accommodation at their for you to relax. 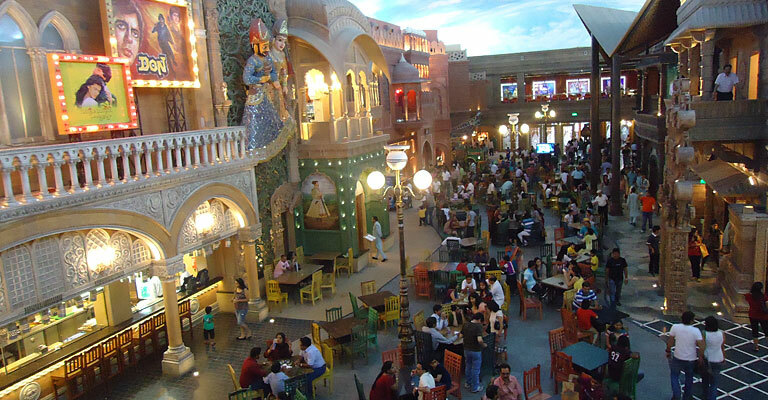 In 2010, Kingdom of Dreams opened to public in Gurgaon/Gurugram. 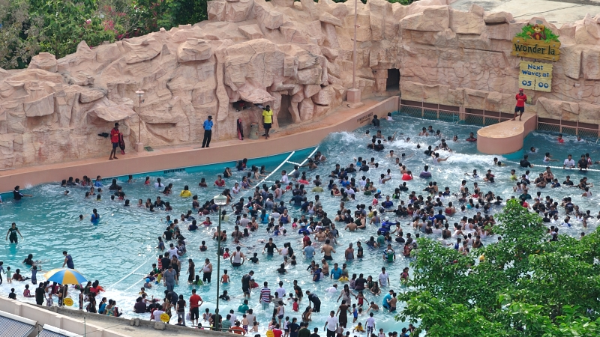 This magnificent entertainment and leisure destination is as good as a vacation. 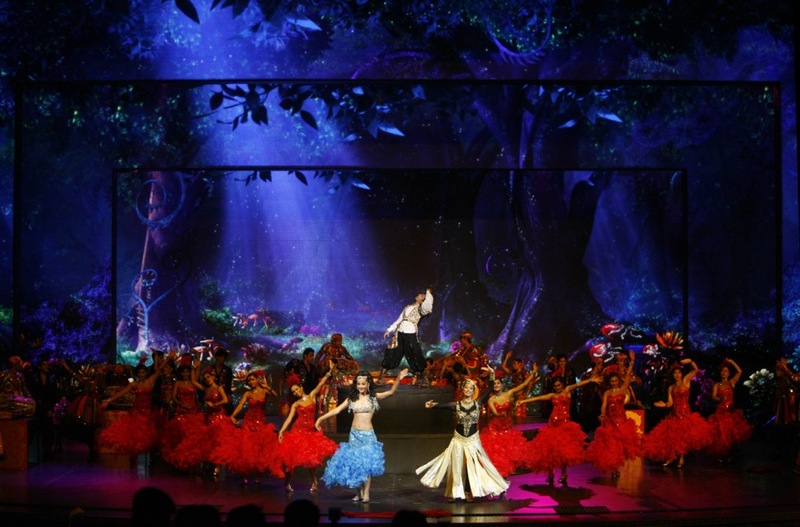 The atmosphere is like a carnival, with performing arts from all over the world. 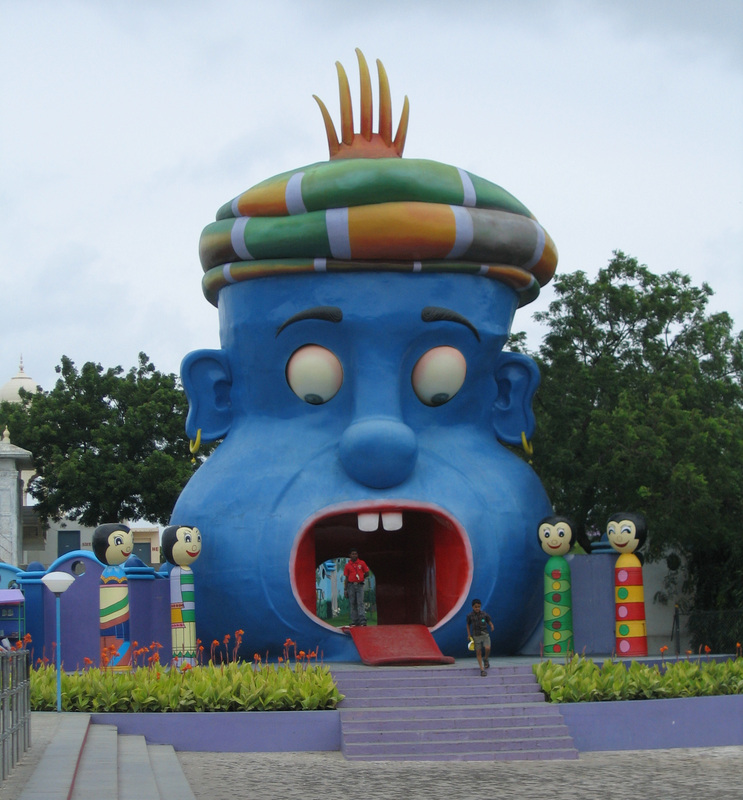 Culture Gully is a boulevard of elaborate arts, crafts and cuisines. 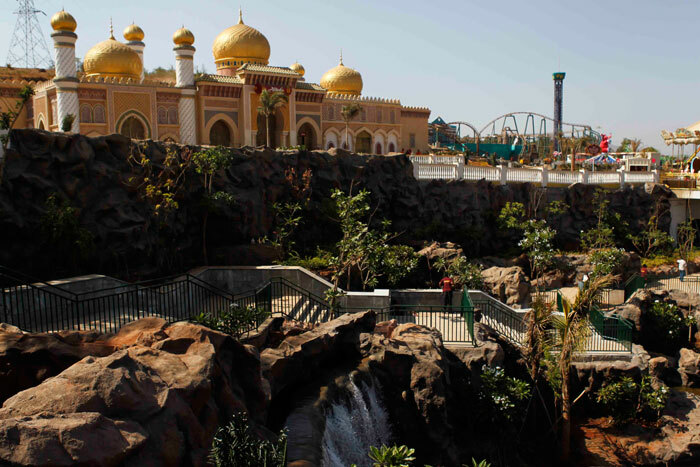 There is so much to see and do here at the Kingdom of Dreams for all ages. 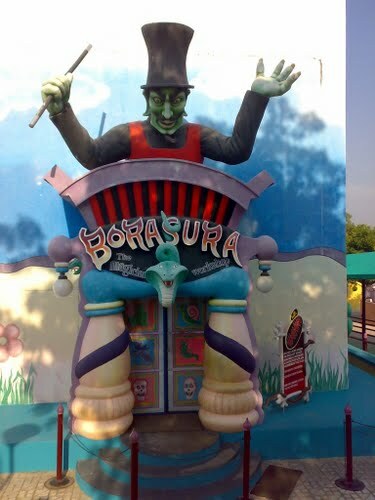 They have an auditorium and amphitheater that play hosts to live productions. 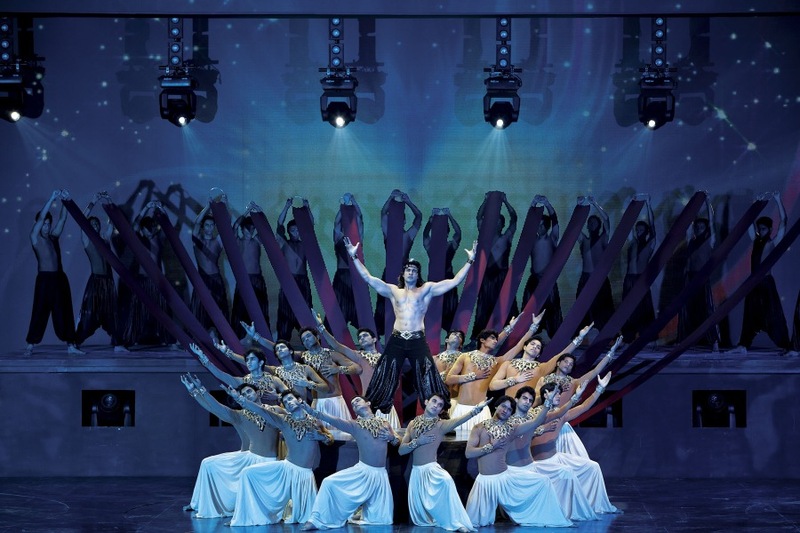 A must-see here is a live Bollywood musical! 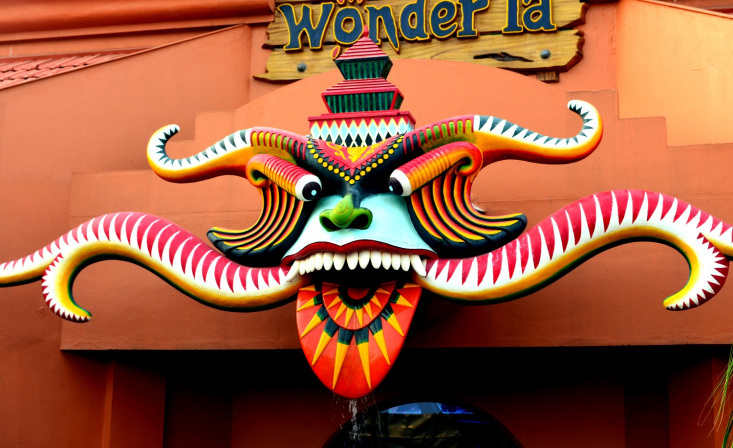 Yes, another Wonderla this time situated in the lush and tropical Kochi. 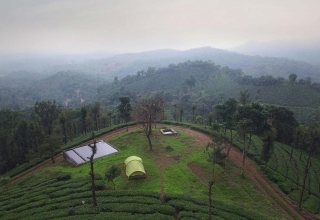 Earlier known a Veegaland, this park is built on the side of a hill. 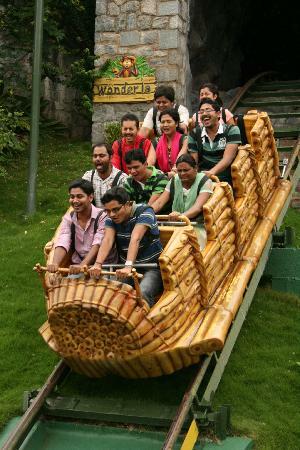 It has around 40 different attractions, meant for families & kids. 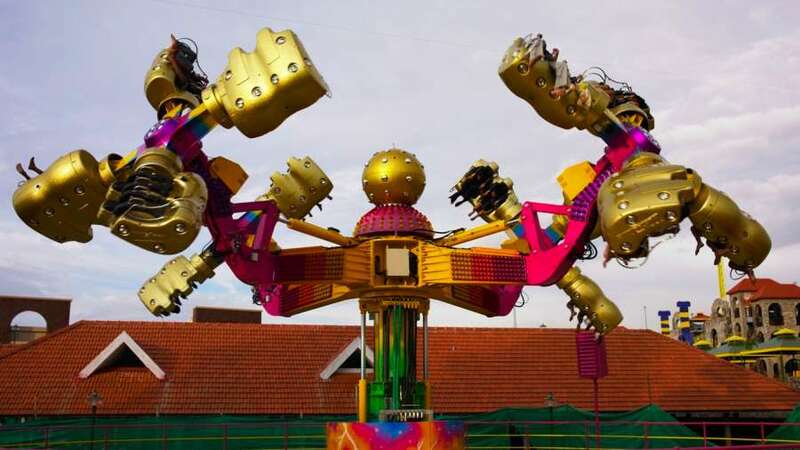 They have some hair-raising rides! 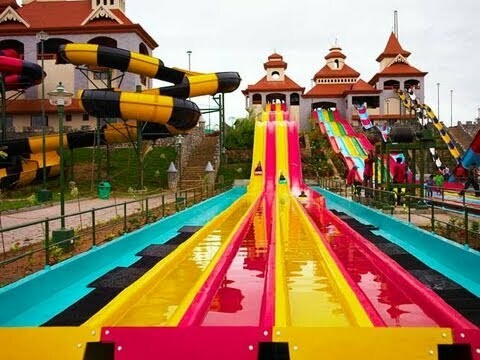 Of course, they have a water park section; how could they not? 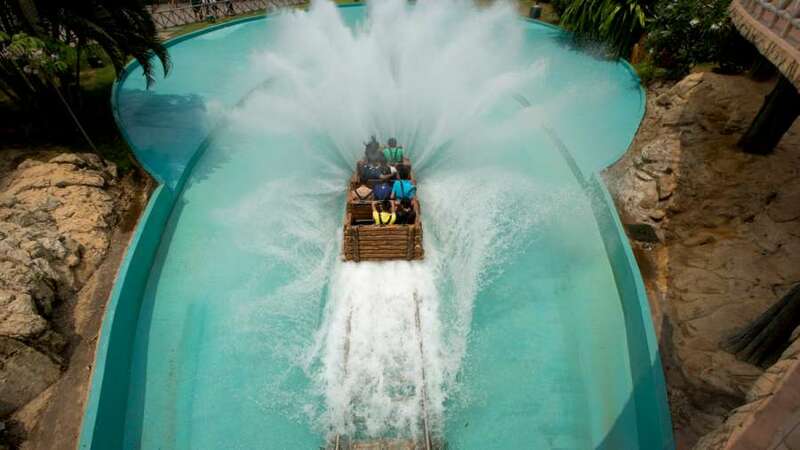 In fact, the Wonder Splash is their main attraction; the ride is a journey by boat into a mystery filled cave, which eventually leads to drop in the clear pool. 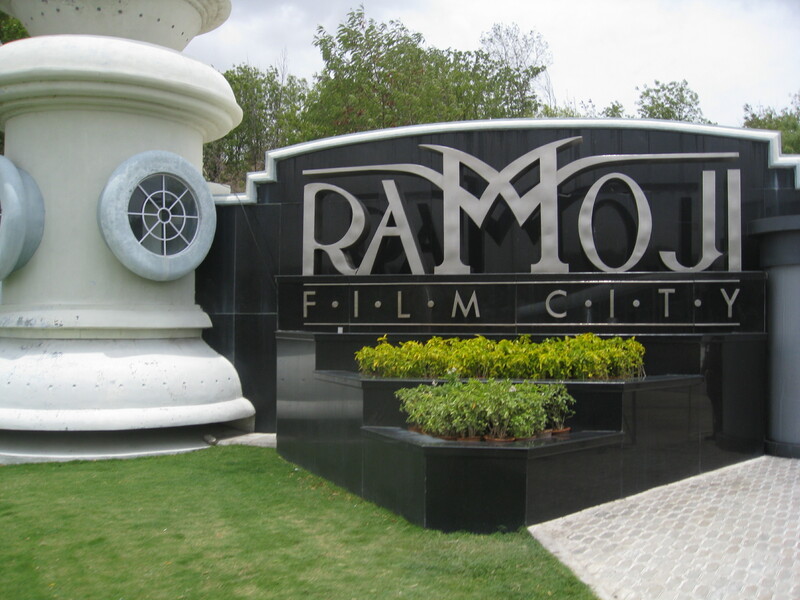 Well, believe it or not, the film city has it all; Ramoji is not just a huge film studio complex. 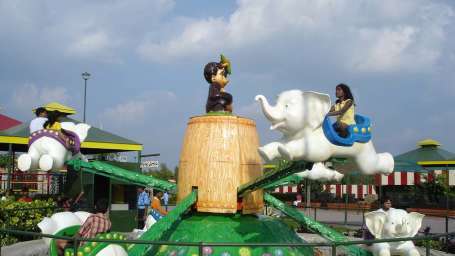 It also has a theme park with rides, adventure park and entertainment park for the kids. 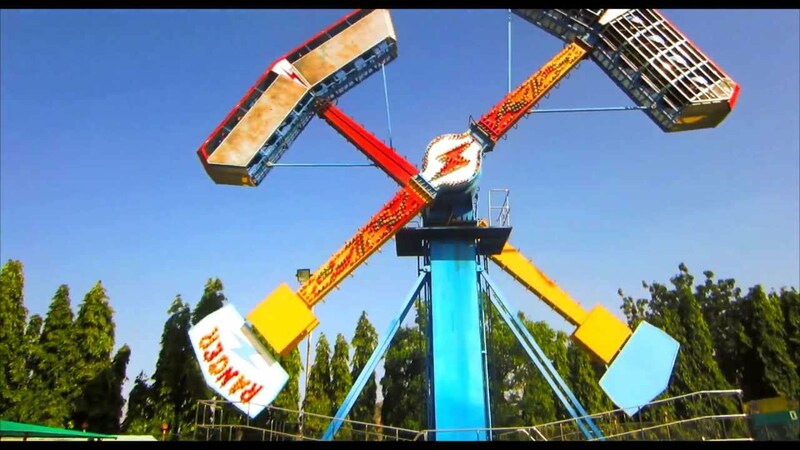 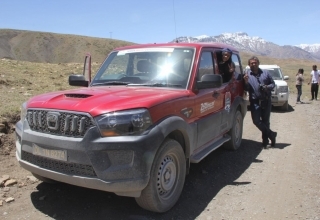 They play hosts to many movies from all regions of India with larger than life sets as well as have fun, adventurous activities like bungee jumping, zorbing and paintball. 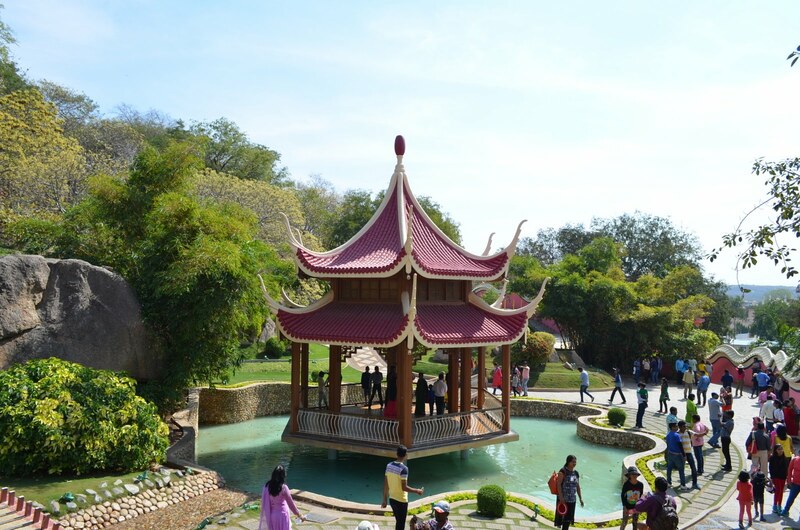 The film city also is home to an eco-zone which includes a bonsai and butterfly park. 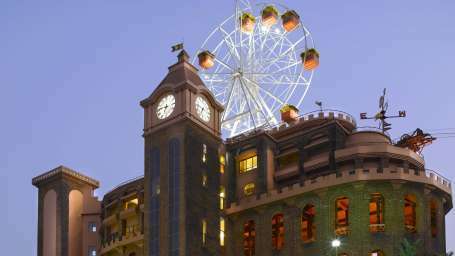 The first amusement park in the country is still a favorite of many. 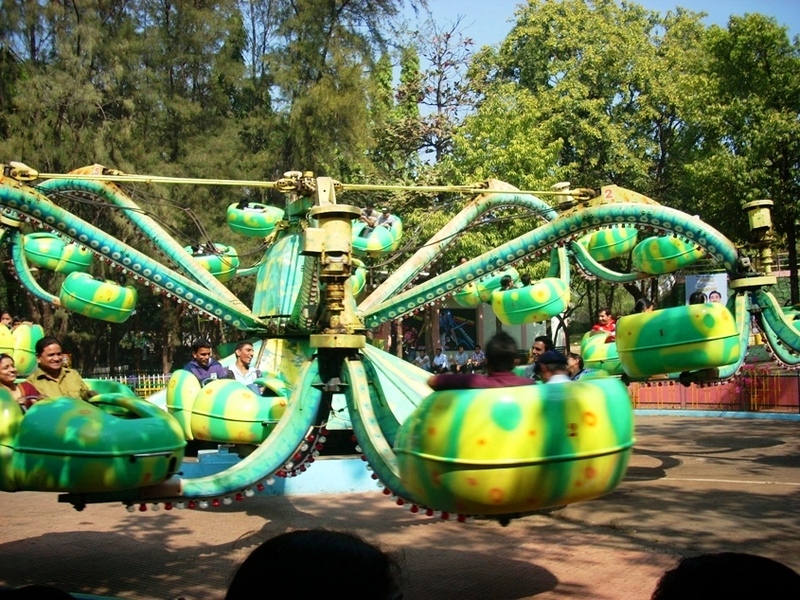 The park is home to 30 different rides, and has a large water park as well. 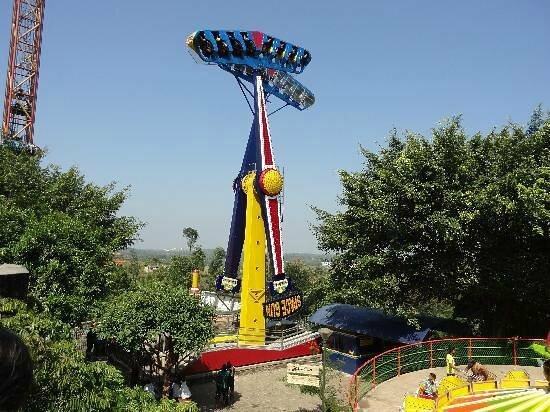 If you have a fear of heights and rides, the park caters to you as well. 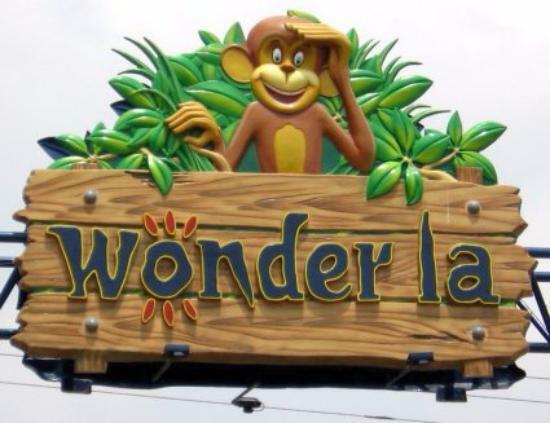 They have a bowling alley, an ice skating rink, and Aquadrome, a dance floor. 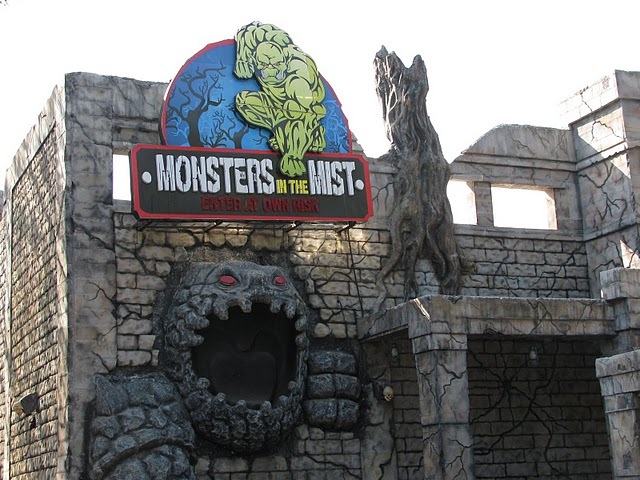 Their most famous ride is their latest Monsters in the Mist dark ride, which is said to be one of a kind. 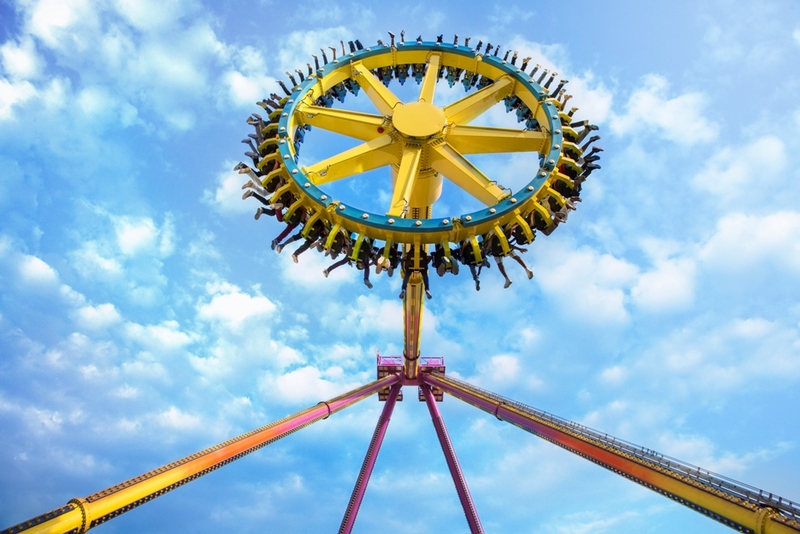 Zoom to one of these amusement parks with your kids, and bring out the kid in you, too!